Another entertaining Pakistani film ‘Jhol’ is all set to hit our screens in 2017 and we can hardly wait. Pakistani model and Actress Urwa Hocane and Ali Azmat’s Jhol previously titled ‘Two Plus Two’ is slated to release on Eid-ul-Fitr. 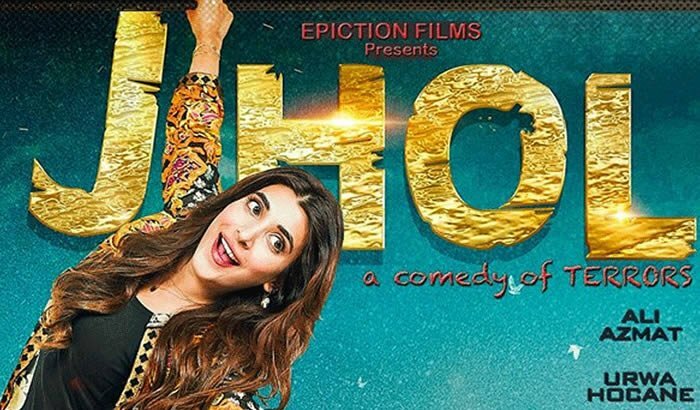 First look of the film featuring the bubbly Urwa and dapper Ali Azmat released. With the tagline ‘A Comedy of Terrors’, one can only wait to see what the film has in store for us. The rom-com ‘Jhol’ is directed by Shahid Shafaat and stars Bilal Ashraf, Nausheen Shah and Salim Meraj as well. According to the makers, the film stars Urwa Hocane as a businesswomen while Ali Azmat plays an ayaash policeman. Previously there were rumors that Urwa turned down a Bollywood film for Jhol, as she believed this was better. The actress is on a roll and has 3 other films in the pipeline set to release this year.